Almost one year after the introduction of Windows 7 it appears that the hype surrounding the operating has faded. The overall market share of Windows has turned into a slight decline again. Windows 7 is gaining share, but cannot keep pace with the loss of Windows XP and Vista. Especially Windows XP users seem to be happy with what they have and appear to be rather resistant to Microsoft’s pitches that it is time to upgrade to Windows 7. It is no secret that Windows users have learned that change is something Windows computers don’t like. Often, it is much easier to leave the Windows version that came with a PC as it was and avoid the pain of upgrading. Vista may have been an exception as the operating system itself was worth the extra pain (or not), while Windows XP was a solid software that works well for the majority of computer users worldwide even today. New market share data recently released by Net Applications puts XP’s market share at 60.03%, down from 60.89% in the month before. Windows Vista fell from 14.00% to 13.35%, while Windows 7 gained 1.25 points to 17.10%. It is interesting to see that Vista and XP lost a combined 1.51 points in September: The difference between the gain of 7 and the loss of Vista/XP represents 100% of the Windows market share loss, which was down 0.25 points to 91.08% in September. Since the launch of Windows 7 in October 2009, the operating system was able to post a net gain of market share in only three months, according to Net Applications, and was hit with a net market share loss of 1.44 points over the past 11 months. If we believe the data published by Net Applications, then Windows 7 has not been able to stop the market share bleeding of Windows, even if it has slowed a bit: In the past 9 months, Windows lost only 0.92 points, while Windows lost 1.14 points in the 9 nine months directly preceding the launch of Windows 7. 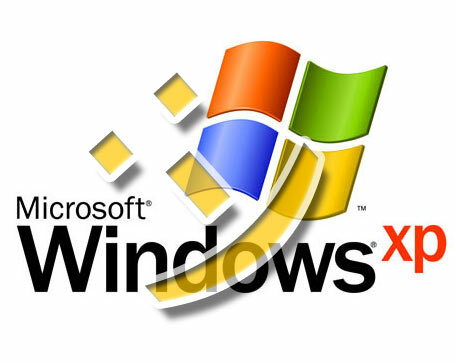 Windows XP has dropped in market share from 70.48% to 60.03% since the launch of Windows 7. When Windows 7 was introduced, Windows XP had a 76% share among all Windows users; now it is estimated at 66%. Windows 7 has already a 19% share among all Windows users and is likely to overtake Windows Vista in this discipline within the next two months: Windows Vista never had a greater share among Windows users than 20.35%, according to Net Applications. Vista had a share of 14.66% among all Windows systems that have been counted by Net Applications in September. Windows XP drops less than 1 point in overall market share every month. Given the fact that it still has about 60% of overall share it could take another year until the operating system will drop below 50%, unless some miracle happens or we are finally seeing ancient computer systems in business environments being replaced. It is simply amazing that an operating system that will celebrate its 10th birthday next year is still, by far, the most popular operating system worldwide. To be fair, I should mention that Windows XP is still actively sold and will be kicked to the curb, this time for real, this month: The deadline is October 22. It is unlikely that this will change something dramatically for the market share of Windows XP in the short term and the fact that Microsoft thoroughly screwed itself with a crappy Windows Vista release doesn’t help. You could always send Microsoft your ideas how to get rid of those stubborn Windows XP users and convince them to upgrade to Windows 7. I personally believe that it was a mistake to pitch Windows as a new operating system, as we know that it was simply a massive patch that finally brought up Windows 7 to the level it should have had in the first place. It was a brave move to sell Windows 7 as a new operating system release, but if Microsoft really wanted people to upgrade, it would have needed to offer Windows 7 as a free or nearly free update. Sort of a service pack. A smoother upgrade process would also help. Many users are just tired of upgrades that require a lot of effort and come with the notion that the computer may not boot after the upgrade. Net Applications’ data does not reveal who gains from Microsoft’s market share losses. Both MacOS X (5.03%) and Linux (0.85%) are stable and the only operating system that shows gains is Apple’s iOS, which is now at a share of 1.18%. Editor’s Note: Yes, we are keeping an eye on StatCounter’s data as well. The analysis firm currently estimates Windows XP’s market share at 53.99%, Vista’s share at 16.59% and 7’s share at 22.04%. The overall trend reflects Net Application’s trend, even if the absolute numbers are very different. StatCounter’s data suggests that XP’s share among all Windows systems is about 58%, Vista’s share is about 18% and 7’s share is about 24%. The data also indicates that Windows 7 is close to Vista’s record market share of 25.28%, which was reached in October 2009.